Trump's two sons, Eric and Donald Jr., (aka Beavis and Butthead) have been busy sapping taxpayer funds as they conduct business worldwide. Yes, I know that the president's family has to be protected and the cost of having the secret service and numerous other agencies is high. I get that. I also get that those two boys are billionaires conducting private business (still tied to Trump despite his denials) on the taxpayer's dollar. It's very difficult to get hard figures for the costs for hotels, travel and overtime, especially for the Secret Service. In early January, Eric Trump took a trip to Uruguay to check progress on an unfinished Trump tower. About a month later, he was in the Dominican Republic, seeing whether an earlier resort project could be revived. He joined his brother, Donald Jr., a couple of weeks later at a ribbon-cutting ceremony for a Trump-branded golf course in Dubai. I wonder why Trump's new ban on Muslim countries doesn't included the United Arab Emirates, or Saudi Arabia? Oh wait! 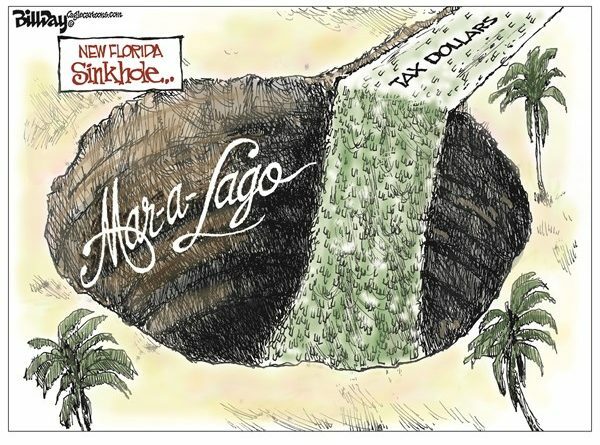 Trump has business interests there. 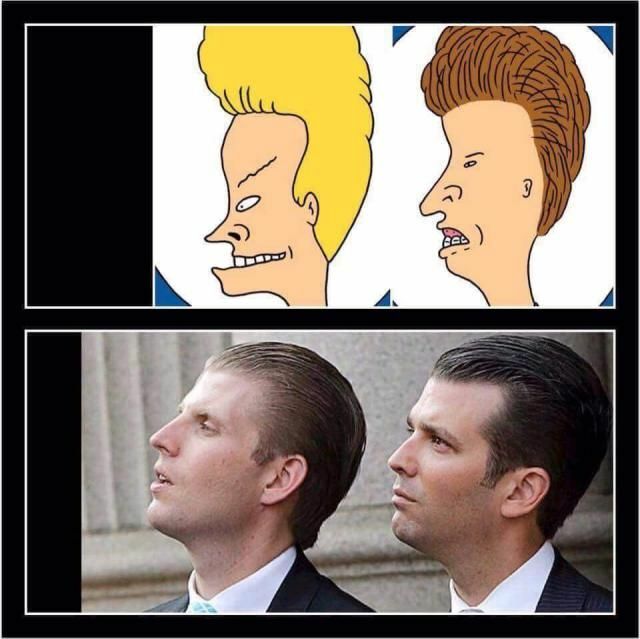 Then the two younger Trumps popped up earlier last week in Vancouver, Canada, for the opening of a new Trump hotel. The good news is Chump won't want to build a wall now on the Canadian border because of his new business interest. So how much taxpayer money are we talking? The Washington Post estimates that just Eric Trump's Uruguay trip cost taxpayers $97,830 in hotel bills alone. With less than 60 days in office the Trump boys are already straining financial resources. Imagine what the cost will be after a year of business trips? Wow! There's no reason that the Trump boys couldn't pay some of the costs when they go on international business trips. Like their lodging for example. That would be the classy thing to do. But, like their lying sociopath parent, the Trump boys wouldn't think of it. Security for Melania Trump and son Barron runs about $500,000 daily. If they moved to the White House it would save taxpayers millions. Trump trips to Mar-a-logo -11 in his first 33 days - have cost taxpayers an estimated $10 million. That's more than President Obama spent in one year of trips. Point out one presidential family in our history that's abused these security perks more while enriching the sitting president and his family at taxpayers expense? Why is Sean Spicer Suddenly So Shy? Truth or Tweets? What Should We Believe?